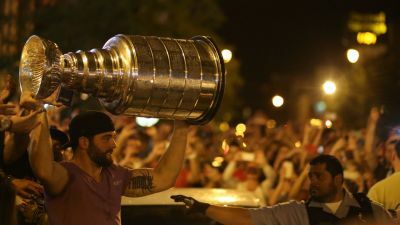 Cup will be available at Millenium Park Sept. 18. 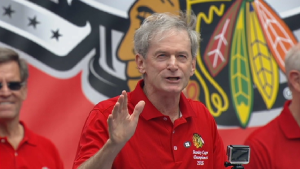 Blackhawks coach Joel Quenneville took the Stanley Cup to the Hinsdale Parade Thursday. 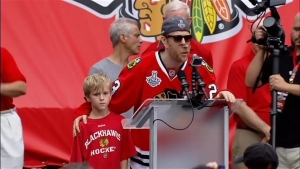 Watch this fan footage of Coach Q hoisting the Cup in the parade. 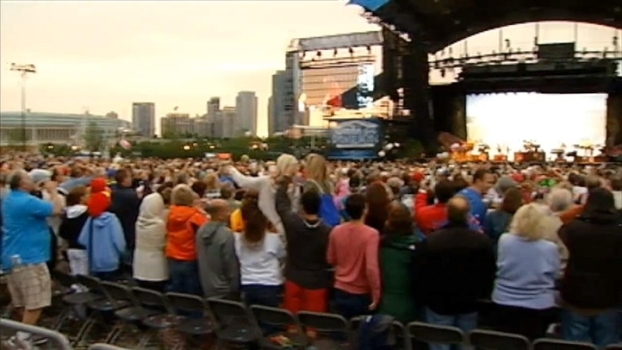 View more videos at: https://nbcchicago.com. 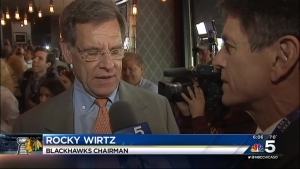 Rocky Wirtz makes special trip to Evanston Hospital. 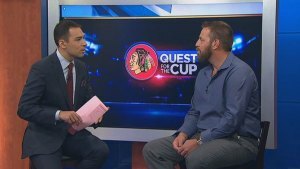 Hawks forward discusses winning Cup, signing extension. 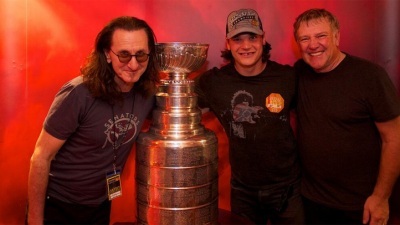 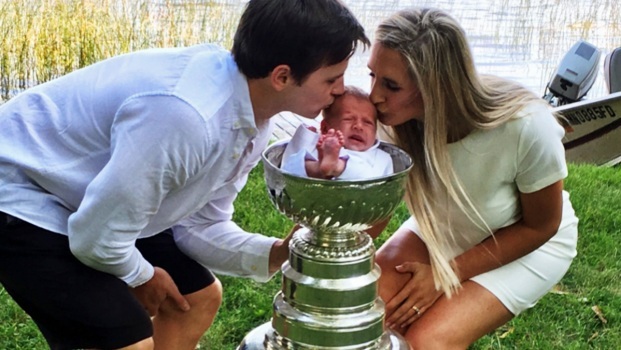 Cup spotted at concerts, nightclubs, bars, player's homes and NHL draft. 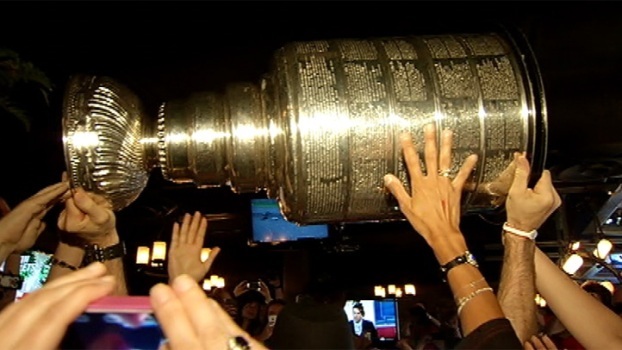 Cup visits Little Italy bar, restaurant. 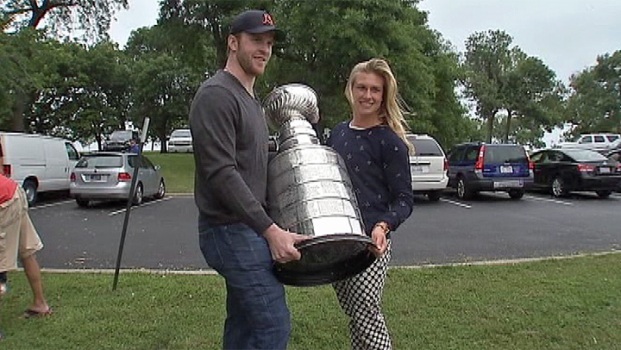 Patrick Kane brought the Stanley Cup to a Jimmy Buffett concert at Northerly Island's Charter One Pavilion Saturday. 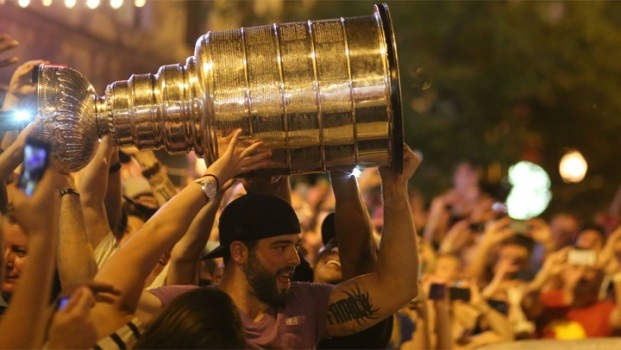 Fans decked out in parrot heads and Blackhawks gear celebrated the Cup's arrival. 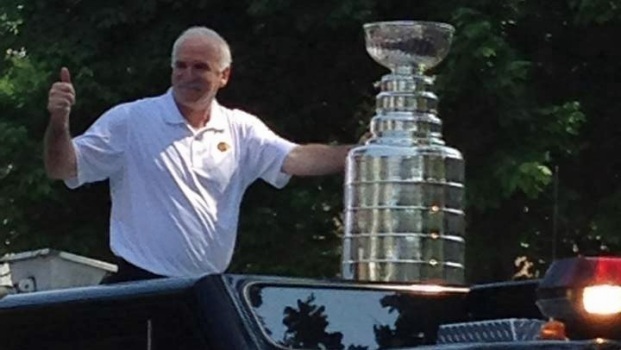 Coach Q takes the Cup to some of his favorite spots, including one just down the street from the UC. 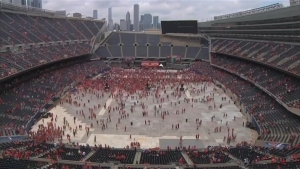 Friday's midday temperature hovered about 80 degrees with humidity at about 60 percent, creating an uncomfortable situation for fans. 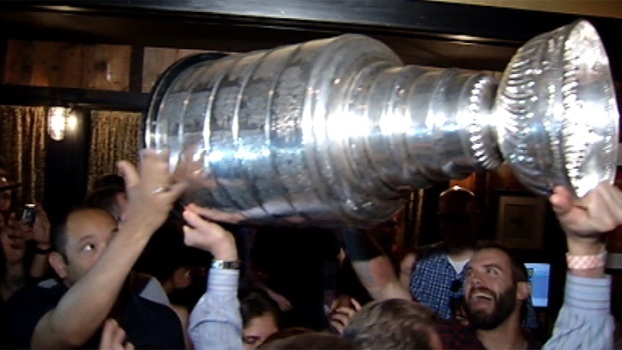 Cup appears at Pony Inn and American Junkie. 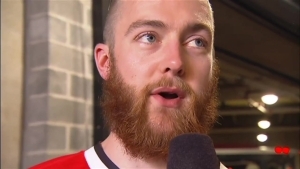 NBC's Madhouse Enforcer blog provides in-depth coverage of the Stanley Cup champion Chicago Blackhawks. 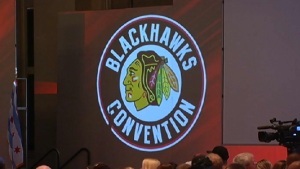 Whether it's game analysis, thoughts on coaching decisions, or just a cool video, this blog has you covered for all your Hawks needs. 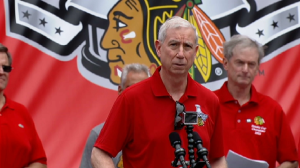 Blackhawks CEO: "This is 1 Goal, 3 Times"
Analysis: Why Did the Blackhawks Fire Quenneville? 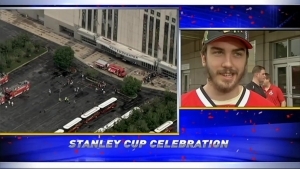 Jim Cornelison to Appear on "The Colbert Report"
James Neveau James Neveau is a digital content producer and sports writer for NBC Chicago. 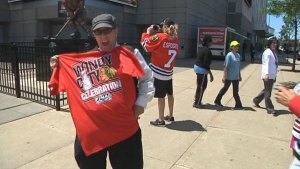 He started writing for the company in 2013 covering the Blackhawks, but has since added the rest of Chicago's sports teams, as well as news, to his coverage. 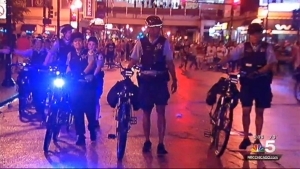 You can email James at james.neveau@nbcuni.com, or follow him on Twitter @JamesNeveau.